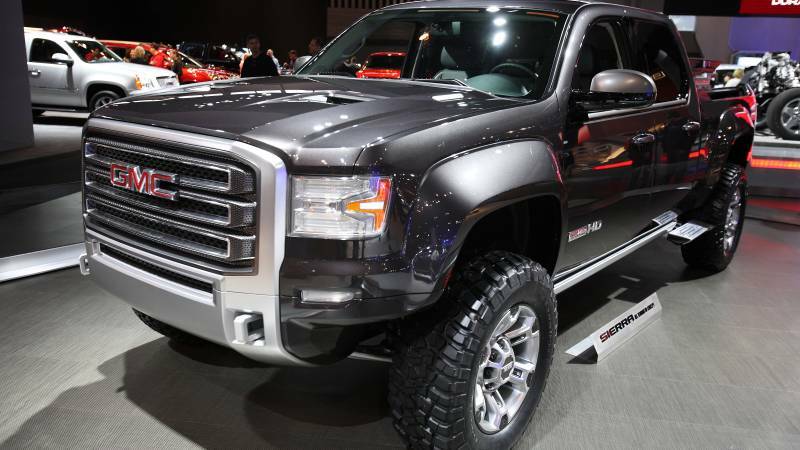 With gas prices hitting a record low for the last decade, it’s no surprise that more people are buying gas-guzzling pickup trucks with low MPG and a ton of functionality. Chances are that’s what you’re looking for, and with the dozens of options out there, we decided to try and narrow down the selection just a bit. After World War II, America became infatuated with the rugged spirit that was embodied in the pickup, and today this type of vehicle accounts for 18% of all vehicles sold in the United States. Surprisingly (or not too surprisingly, perhaps) most pickups are used as a passenger car, with less than 15% of buyers stating “work” as the vehicle’s primary function. 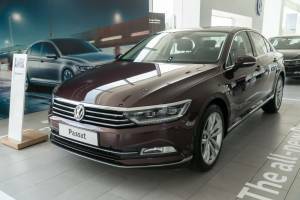 This makes aesthetics like heated leather seats and a quiet cabin all the more important to the average buyer, with add-ons like backup cameras and a towing hitch usually appearing as options. Generally, there are three major segments within the pickup truck class: mid-size, full-size, and heavy-duty. Mid-size pickups like the Chevy Colorado and GMC Canyon represent the consumer who may want some of the functionality and style factor of a pickup, but doesn’t need the horsepower or towing capacity associated with it. As these are lighter, mid-size pickups generally get the best MPG of any in-class, and will also have a quicker acceleration. 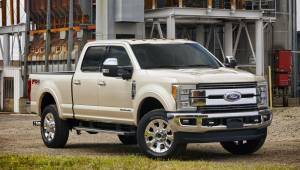 Full-size trucks are generally more popular, with Ford F-150’s and Chevy Silverado’s leading the way in terms of sales. If you’re looking for the best mix of power and accessibility, any one of the trucks in this segment should fit the bill. Finally, the heavy-duty trucks are built for power, usually to haul enormous payloads of up to 13,000 pounds. Generally speaking, the higher the “tonnage” (half-ton, three-quarter ton, one ton), the more power a pickup has. If you are looking for a truck to haul your luggage alongside your kid’s pet Great Dane as you head off on a three-month road trip, look no further than the 2016 Chevy Colorado. As the only mid-size pickup this to offer a diesel package, the Colorado’s smaller size and diesel engine give the Colorado a higher miles per gallon than any other truck on them market, capping off at an unheard-of 31 mpg on the highway, and 25 combined. Leaps and bounds ahead of the competition. Available in crew or extended cab body styles, the Colorado has a towing capacity of 7700 lbs, making fantastic usage of the 2.5 liter engine. If you are looking to add on a little extra power, the Colorado also has options for a 3.6 liter V-6, and a 2.8 liter turbo diesel, giving you an extra 80 to 175 pound-feet of torque, respectively. Even more interesting in today’s world, the Colorado also has an option for a manual transmission as well as an automatic. 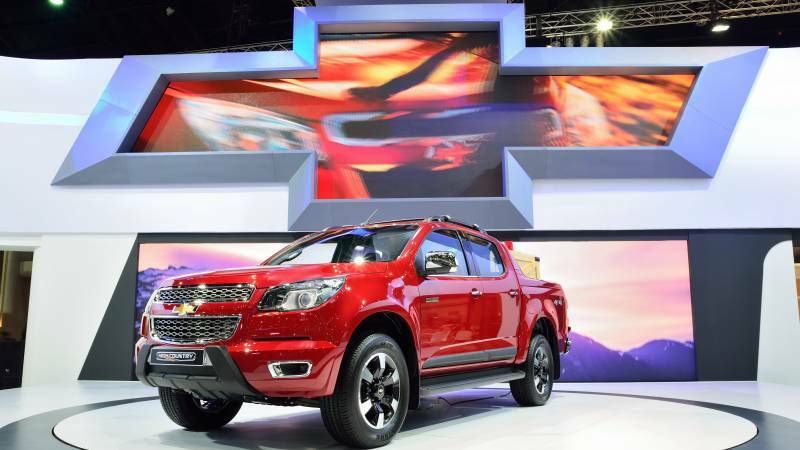 A fully loaded Chevrolet Colorado with the very comfortable Trail Boss Trim with a diesel engine and a crew cab interior will set you back just $37,000 — perfect for a family that wants quality on a budget. With a strong off-road performance and spacious rear seats on the Crew Cab and Crew/Max models, the Toyota Tundra is quickly making its presence known among American truck owners. 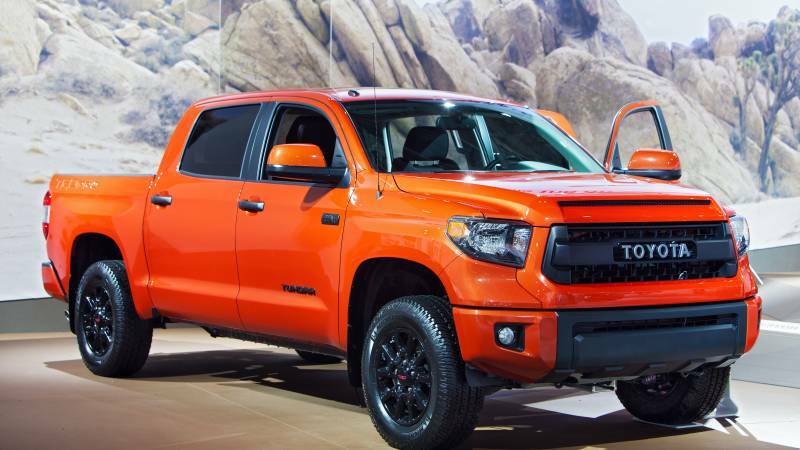 Boasting an impressive 10,500 pounds of towing capacity with its hefty 5.7 liter engine (besting the Chevy Silverado by nearly 3,000 pounds), the Tundra offers a considerably smooth transmission, albeit at times a clunky and stiff ride. That being said, the Tundra’s cornering abilities make it feel like a more compact truck than it really is. The Tundra’s base class is no luxury truck, but with a myriad of options to choose from, truck owners have the ability to make it as comfortable as they want, with the available options including heated and cooled seats, as well as advanced voice recognition and a push start. Nothing super innovative, but Toyota is quickly becoming a leader in off-road technology as well, starting with the TRD Pro models and TRD off-road package that beefs up the suspension components considerably. This power comes at a price: the Tundra only averages 15 mpg in the city, and an equally depressing 19 mpg on the highway. Outside of the creature comforts, many reviewers have complained about the limited engine options available on the Tundra, proving there is still room for Toyota to grow its flagship full-size pickup. What’s a premium pickup with a little flash and pizazz? The Sierra is no stranger to rugged good looks, and the consistent high sales of its base model proves that millions of people agree. The GMC Sierra Denali edition has been a staple for a long time, but 2016 brings a “Sierra Elevation Edition” into the mix, adding body-color bumpers, mirror caps and door handles, taking advantage of the naturally good looks the Sierra boasts. The Sierra is also no slouch as a work truck either, besting the Tundra’s towing capabilities with a 12,000 lb maximum load. The Sierra also aligns with the other trucks in its class by offering three different engine types: the 285 horsepower V-6 that comes standard, or a 355 horsepower V-8 and 420 horsepower V-8 that can be added on as options. The regular cab version of the Sierra also offers a 6.5 or 8 foot bed, which is commensurate with other trucks in its class; double cabs come standard with a 6.5 foot bed, while crew cabs offer a 5’8″ or 6.5″ bed. All trucks have an optional all-wheel drive package as well. Like the Tundra, the Sierra does not wow in fuel economy, with the EPA estimating a 15/21 mpg split on the city and highway respectively, with testers finding the real number closer to 15 mpg. The trade off with the power and looks is the price you will pay for the lower mpg.